What better gift to unwrap on Christmas Day than another column from legend-in-his-own-fleet, Goonswarm pilot HVAC Repairman! 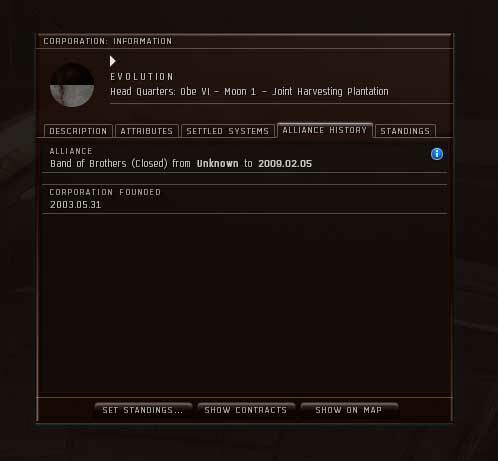 In the seven years I’ve been playing EVE Online, I’ve witnessed and experienced some of the most surreal events that have occurred in our virtual universe. Events that have not only sent shockwaves throughout the EVE, but also made headlines in gaming press around the world. Throughout all of the wars and other shenanigans I’ve been a part of, one event has always stood out from the rest: the night the alliance Band of Brothers was disbanded by a defecting director. While that event has stood the test of time, many have forgotten that it was just one piece in a very large conflict. To fully understand the implications of the BOB disband and what followed, you need to know the events that preceded it. After the First Great EVE War had concluded with the failure of capturing Delve from BOB, Goonswarm’s principal allies began to drift apart. Red Alliance, due to internal problems, had a number of corporations leave and start new alliances, namely Legion of xXDEATHXx and Solar Fleet. Tau Ceti Federation had left the south and was actively assisting the Northern Coalition in their defense of the North from Band of Brothers and its allies. With Red Alliance splintered and TCF in the north, the main powers in the south were now GoonSwarm and Against ALL Authorities. Problems began arising with the remnants of Red Alliance when some of their members were caught running a valued complex in Feythabolis every morning after downtime. The complex was in Goon-controlled space and despite being asked to stop, RA continued to run it anyways. Failures to diplomatically resolve the situation lead to the reset of RA, with the offending corps set red and rest set blue. The corps that were set red went to RA leadership and attempted to have the alliance go to war with Goonswarm, but instead found themselves kicked from the alliance. The two then formed a new alliance named Red.Overlord and reached out diplomatically to other Russian entities to assist in attacking GoonSwarm assets. While most of them said no, one of the entities that accepted was the other major southern power, Against ALL Authorities. Members of -A- had been agitated over a comment that GoonSwarm CEO Darius JOHNSON had made about -A- not being able to defeat them in a head-to-head war. Emboldened by their hilariously lopsided destruction of the much larger Knights of the Southerncross and their former allies Interstellar Alcohol Conglomerate, -A- took RO up on their offer and began immediately assaulting Goonswarm POSes in Feyth while Goonswarm still had -A- blue. Despite loud chestbeating, the AAA/RO/Stain Empire failed to make any progress in their assault. Structures that had been sieged were later repaired and fleets sent out were destroyed. A week or two into the conflict, the GSF bloc captured the RO staging station in an alarm clock op in Russian prime which resulted in a considerable amount of assets being trapped. Up north, Band of Brothers, Executive Outcomes, and a number of other alliances had been attacking Northern Coalition space. Despite initial success, BOB suffered a series of embarrassing losses which included two titans and several capital fleets. The Northern Coalition, in addition to Tau Ceti Federation and Pandemic Legion, had successfully repelled the invading force. Looking to reinvigorate morale and drop the northern campaign like a hot potato, Band of Brothers announced they were moving south to attack Goonswarm space and open up a second front in the conflict. The second Great EVE War was now official.